Christopher Flavin of the World Watch Institute says there wasn’t a revival of nuclear power before the accident. It’s actually a dwindling energy source. Today, nuclear power provides about 15 percent of the world’s electricity. What’s the future. “Nuclear power really faces a very uncertain and troubled future,” said Christopher Flavin. In April 2011, Worldwatch Institute, an environmental research organization that monitors resources like energy, released a report on the status of nuclear power in the wake of the March 2011 disaster at Fukushima. Christopher Flavin, president of the Worldwatch Institute, spoke with EarthSky’s Jorge Salazar. It’s interesting. There was a lot of talk about a nuclear renaissance, and that’s been referred to in the wake of the Fukushima nuclear disaster. But in fact, what we find is that the overall capacity of the world’s nuclear plants to generate electricity has been really just barely increasing. In fact, the total output of electricity has even declined slightly over the last few years. So rather than being this rather robust, rapidly growing industry, we find that nuclear power was actually facing a pretty uncertain and even somewhat troubled future, even before Fukushima, which of course has now added additional question marks. How is nuclear energy doing right now? To just give a little bit of a historical perspective, there was very rapid growth in the use of nuclear power, starting in the 1960s. And the 1970s and the 1980s were extremely rapid growth decades in the United States and indeed, globally. Things really turned around about the times of the Three Mile Island and Chernobyl disasters, which respectively occurred in 1979 and 1986. Orders for new nuclear plants began to slow dramatically worldwide. In the United States, there hasn’t been an order for a new nuclear plant since Chernobyl, which means that there’s been now more than 30 years since a new plant was ordered. The idea the nuclear industry has had is to revive that, and to get the renaissance going. And while there’s been a lot of interest in companies–and even some early work beginning to be done and make way for a new nuclear era–there’s not a single new nuclear plant that’s actually under construction at this point. There’s only some very early preparatory work in the U.S. The Worldwatch report says that the average age of a nuclear plant today is about 25 years. What does that mean for the industry? There has been a very small nuclear renaissance underway in China, particularly. Over half of the new nuclear plants under construction are in China. If you put China aside, and you look at the whole rest of the world, you find that there really is very little activity underway. There’s a range of different factors going on. In some European countries, particularly Germany, there’s been an explicit political decision not to move forward with nuclear power, but to move forward with renewable energy sources instead. In the United States, it’s really been more of an economic decision. The relatively high cost of nuclear power has deterred many electric utilities, including some that announced plans several years ago that have now in effect set them aside. And seeing the growing cost estimates of nuclear power plants as well as the fact that relatively inexpensive natural gas-fired power plants are now a viable option in many areas has really taken the bloom off the nuclear renaissance. But, as you said, China is the exception. China, of course, has a very rapidly growing economy and rapidly growing energy needs. It’s building a lot of new energy capacity of all sorts. It’s still adding coal plants, which dominate today. But it’s also become a world leader in adding wind power and other renewable energy technologies. When you add that all together, nuclear power makes up a relatively small part of Chinese total. But just given the very modest scale of nuclear activity around the world, China really has dominated international orders. I think one of the things that’s interesting about that is China, for the most part, is still basically using other country’s technologies. In many cases, it’s using newly developed reactor designs that really haven’t been proven anywhere in the world. And they don’t really have a fully developed safety regulatory apparatus, which is one of the things that in retrospect seems to have gone so wrong in Japan, that there wasn’t adequate regulations. There are a lot of concerns that exist both within China and the rest of the world, in terms of whether they’ve done the sort of proper preparation to have this scale of nuclear industry. Also, given the fact that there has been a very strong reaction to what happened very nearby, there is at least a possibility of, I think, a significant slowdown in that Chinese nuclear industry in the aftermath of Fukushima. How has the Fukushima event impacted the industry? It’s too early to know for sure what the full impact of Fukushima is going to be over the years ahead. Many countries and companies that are committed to nuclear power have vowed that they will continue to support nuclear expansion. But I think if you look at the significant shift in public opinion that’s out there, if you look at the fact that it’s now been pretty clearly revealed that safety issues have not been addressed as thoroughly as they need to be by regulatory agencies, I think that there is a real chance that things are going to slow down even more than they have. I think that one aspect of this that tends to be neglected is that, it is the high cost of nuclear power that’s played a significant factor in its relative decline in the power sector in the past few decades. What nuclear accidents, starting with Three Mile Island, tend to do is that they tend to raise the cost, because you have to take additional precautions. You have to add to design features that add to safety. All of that tends to cause delays and add to costs. That could end up being one of the important legacies of Fukushima. How does nuclear compare to coal, safety-wise? Proponents of nuclear energy point to a study showing the deaths per kilowatt hour from burning coal are much higher than for nuclear. Certainly, in terms of the immediate health problems and the immediate toll in terms of human life, coal is a lot worse. I really don’t think though that that’s the right comparison. I don’t think that coal-fired power plants are the wave of the future. They’re something that we’ve relied on very heavily, historically, but particularly in the face of global climate change as well as the other environmental and health problems, we really need to be reducing our reliance on coal. But I think nuclear is really not the best option there. Apart from all of the safety concerns–most of which are incredibly complex–if you look at the very high cost, the huge amount of time that would be required to build enough nuclear plants just to replace the aging plants that are going to go offline in the coming decades, let alone displace a significant amount of coal capacity, I think it really is not the substantial energy option that some seem to think it is. So what about climate change? 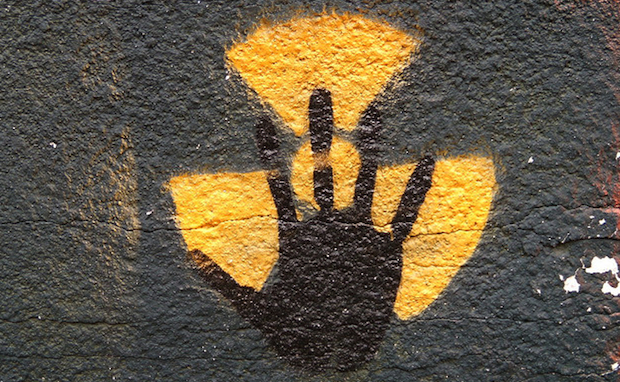 Scientists have told EarthSky that nuclear needs to be part of the solution to climate change. There are many options for generating electricity that produce either less greenhouse gases or none at all. I actually think that the renewable energy sources are more primed to make an additional contribution right now. Of course, nuclear is contributing an effect today by displacing some fossil fuels, but it took us many, many decades to get where we are. And there has not been much expansion in the industry. And there’s not really that much industrial capacity to build nuclear plants very quickly over the coming decades. So I think that nuclear power is just not the best option, and really not a very significant option when it comes to reducing greenhouse gas emissions in the future. In effect, by putting more money and effort into nuclear power, we are, in effect, are delaying the transition to renewable energy sources, which are only going to move forward at the scale they need to if they get much more policy attention than they’re currently getting. What do you think about what’s happening right now at Fukushima, with robots being sent in to try and help fix the reactor? The Fukushima situation remains very troubled. I think even the Japanese authorities, because they cannot actually get into the reactors themselves because it’s too dangerous, are really making “guestimates” in terms of what the actual condition of the reactor core is, exactly how much of it is melted, whether any of it has actually gotten outside of the containment vessel or not. The Japanese government recognizes that they’re going to have to use somewhat extraordinary means to keep the fuel cool over the coming months. And they’ve got a plan in place to do that. I think various outside experts are estimating that it’s probably going to be a minimum of a decade, and probably many billions of dollars before they ultimately are able to call this horrendous accident closed. This is far, far worse than Three Mile Island, and even that took a very long time to fully resolve. It resulted in permanent closure of one reactor. I think with Fukushima, there are at least three, and probably four reactors that will be permanently closed. And the other two on the site may even be in question as well. What’s the most important thing you want people today to know about the future of nuclear energy? Nuclear power really faces a very uncertain and troubled future. Not only are there all of the safety questions and resulting economic questions that are raised by the accident itself, but if you look around the world, the industry was really not moving forward very actively before the accident. There’s a lot of confusion about what the next generation of technology is likely to be. I think we can expect very modest nuclear expansion, if that, over the coming years and decades.